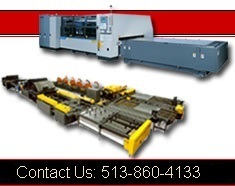 Ductformer| HVAC Machinery | Cincinnati Precision Machinery, Inc. Located in St. Louis Mo USA Ductformer Inc. is a manufacturer of machinery for the duct fabrication industry. Approximately 35 people are employed at the Ductformer St. Louis facility where Ductformer has been producing machinery for the metal fabrication industry for over 20 years. Ductformers' design and engineering team, and the skilled craftsmen that build Ductfomer machines have years of experience and utilize state of the art technologies, while continuously developing ideas into products that are used world-wide today. The Ductformer ‘Rotary Machine’ Beads, Crimps, Slits & Flanges. Foot Operation Leaves Hands Free to Handle Metal Being Formed! Forming Rolls will Stop & Retract Automatically to Load a New Part! 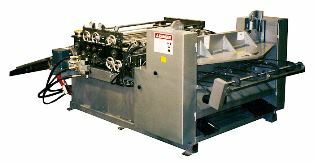 Forms Either Round or Flat Sheets, Automatic Feed & Engage Feature Leaves Both Hands Free to Handle Part! Foot Pedal Controls Clamping Force. 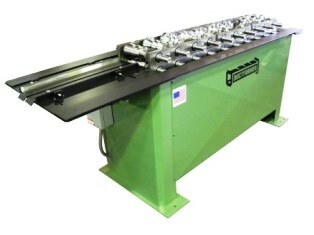 Ductformer’s TDFC Rollformer comes with Edge Form Flange Rolls and Short Part Feed Roller Track. The Flange can be formed on Straight Duct and Fittings utilizing Standard Corner Flanges and Clips. The TDFC Design Simplifies Fabrication of Medium and High Pressure Duct. The TDFC Power Brake which simplifies the process of bending and folding C style and F style duct work. 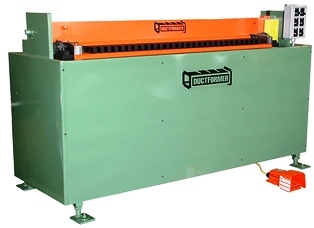 Ductformer's bending machines are designed specifically for duct work. 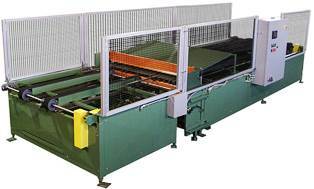 This means that expensive features you would have paid for with a conventional Press Brake System (that are unnecessary and may slow you down in forming your duct work) are not in the way and adding costs to the machine design. Ductformer offers fully automated Duct Coil Line Systems. Existing Duct Coil Lines from any manufacturer can be retrofitted or upgraded with Ductformer Add On Rollformers, Insulators, Automated L and Wrap Brakes, Tie Rod Hole punching, Shearing and Notching…. Ductformer’s AUTOBRAKE DB-60 (72) is a Fully Automatic Wrap Brake System that receives a part and bends either Full Wrap Duct or L-Sections. The DB-60 (72) can be installed in any manufacturers Duct Coil Line providing duct fabricators the opportunity to upgrade and modernize existing lines. 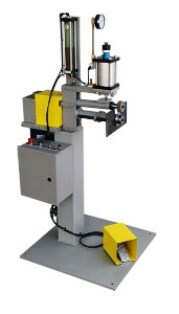 The AUTOBRAKE DB-60 (72) incorporates the latest technology offered by name brand industrial component manufacturers including: PLC technology using Compact Flash Memory Backup, color Touch Screen Operator Interface Controls, brushless AC Vector Motion Control Drives for the part feeding, and a pressure compensated Hydraulic System.